A new report from the Immigrant Council of Ireland highlights anti-Muslim racism in the capital. 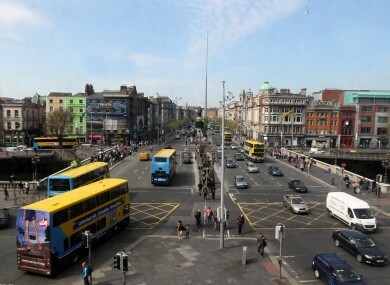 MUSLIMS IN Dublin continue to experience discrimination at work, in education and in their dealings with public bodies, according to a new report. The study on Islamophobia shows evidence of racism by teachers, gardaí, employers and members of the media. Young Muslims surveyed by researchers said they had been verbally abuse and excluded by discriminatory practices in schools and universities. Some female students reported being banned from wearing the hijab, which the study said is “frequently targeted in experiences of anti-Muslim hostility in Ireland”. Experiences of racial or religious profiling by security staff were also referred to by participants. “There’s a distinct security theme emerging in this study in the manner in which Muslim women, predominantly, are pursued in shops and shopping malls, mainly by security guards but also by shop staff,” the study said. Some participants claimed to have been singled out for attention by gardaí while others around them were ignored. Others cited a lack of trust in the media, pointing to coverage of events arising from the Syrian conflict as creating a perception that being Irish and Muslim are mutually exclusive categories. The report goes on to detail incidents of attacks on mosques, private property and individuals. Men and women taking part in the research recalled experiences of physical assault in public settings. The man flung a glass bottle at her, which smashed directly in front of her. Another woman said her home was broken into and sprayed with racist graffiti, including “get out” and “terrorist”. She said she left the school after her year head failed to deal with her complaints. Other participants said they faced difficulties enrolling their children in secondary schools. The study also points out that, given the Catholic patronage of most primary schools in Ireland, potential problems remain for people of different faiths who wish to enter the teaching profession. Brian Killoran of the Immigrant Council of Ireland, which commissioned the report, said the research highlighted the need for legislation to combat hate crimes and discrimination. “As well as highlighting areas which must be addressed, this report offers hope,” he added. It is notable that many different participants referred to Ireland as home – and it is home to 65,000 Muslim men, women and children. Email “Muslim woman has bottle thrown at her in racist Dublin attack ”. Feedback on “Muslim woman has bottle thrown at her in racist Dublin attack ”.